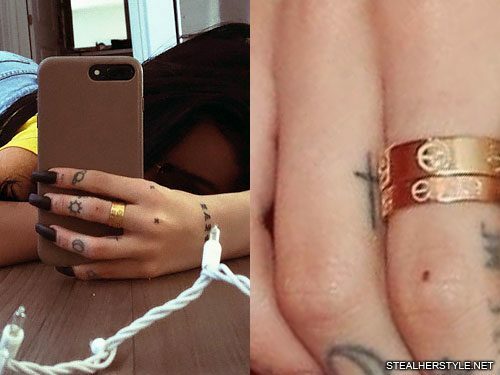 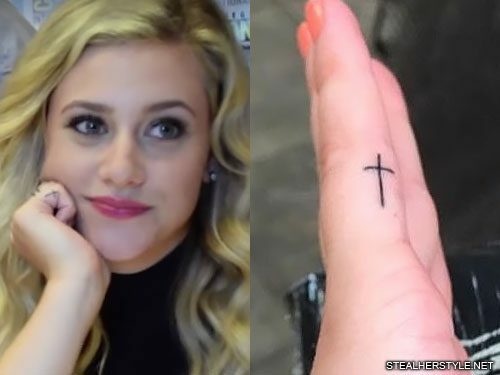 Lili Reinhart has a tiny little cross tattoo on her pinkie finger. 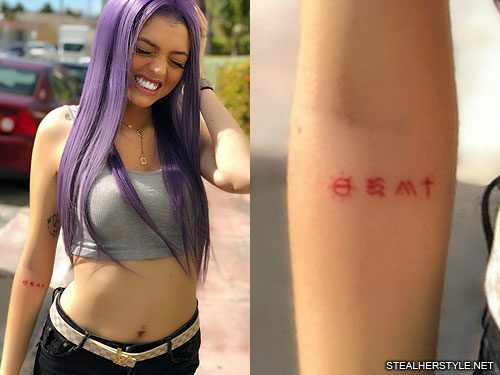 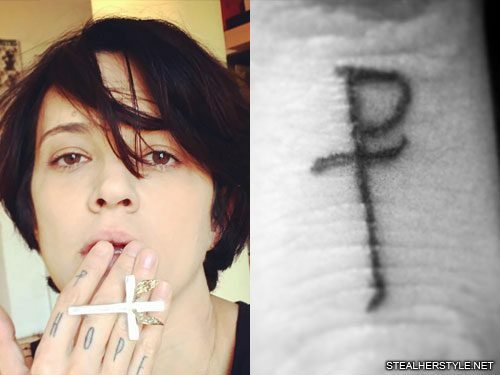 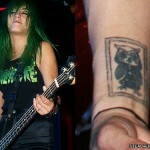 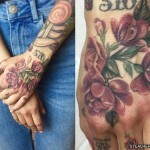 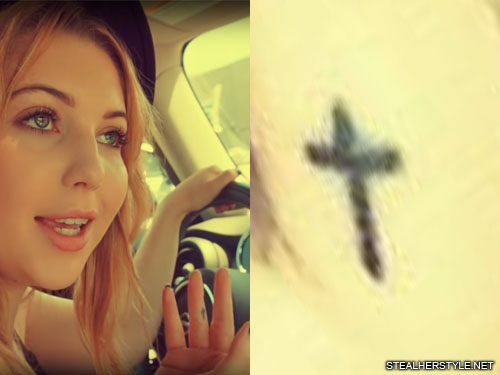 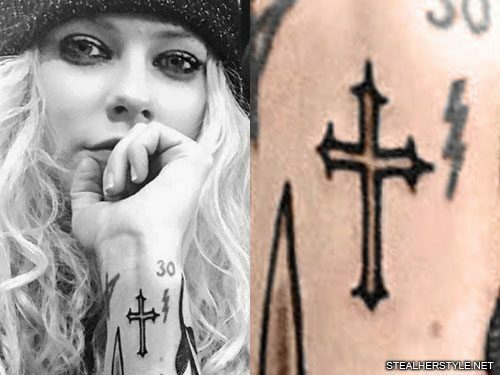 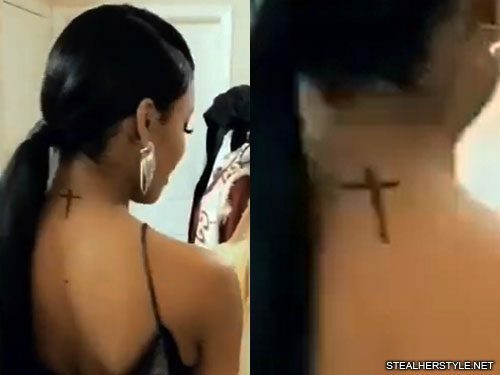 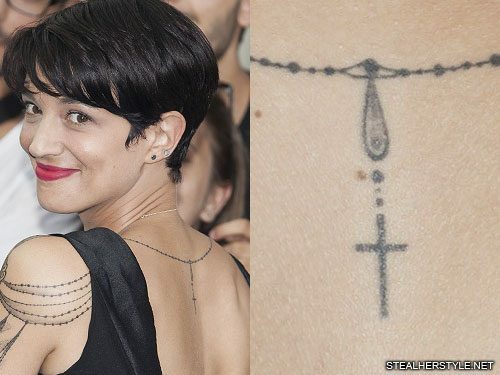 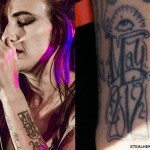 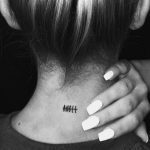 She got it done in June 2016, sharing a video of the session on her Twitter and captioning it “Impulsive.” It was touched up in May 2017 by the same artist, Dan McWilliams at Studio City Tattoo. 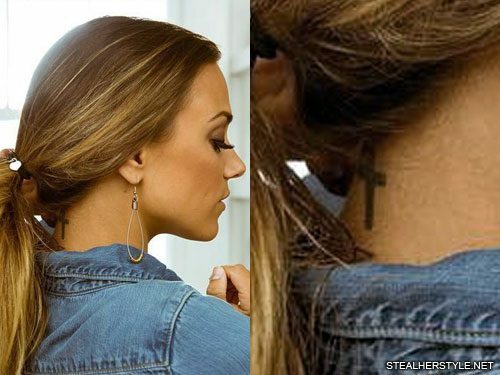 Jana Kramer has a simple black cross tattoo on the back of her neck. 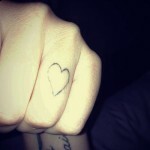 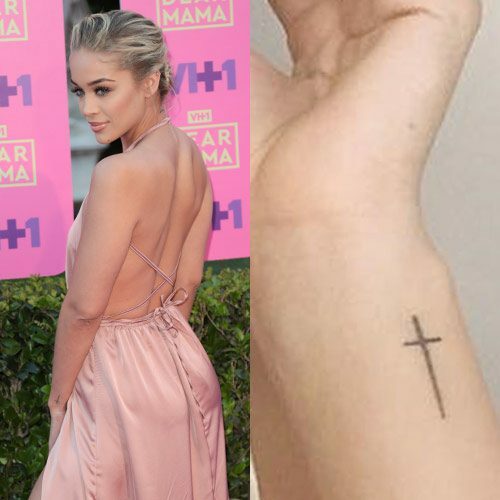 Jasmine Sanders has a cross tattoo on her left wrist.